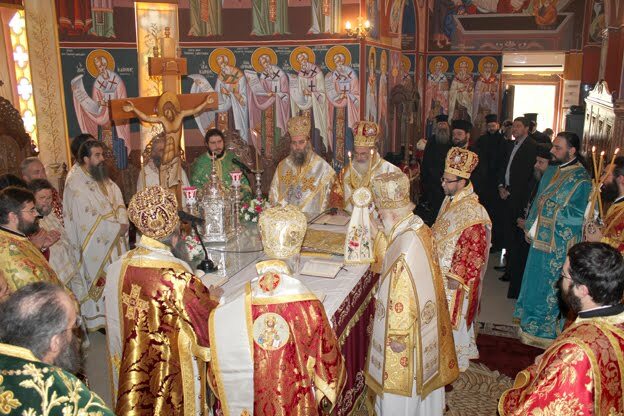 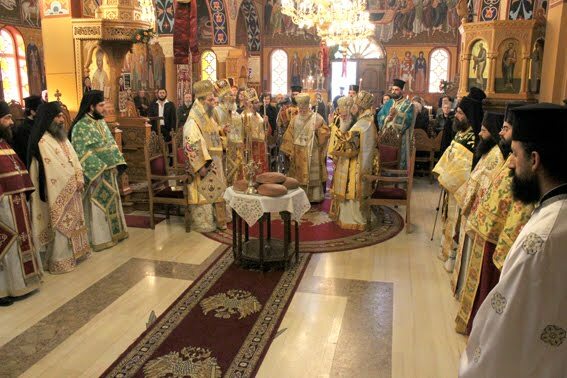 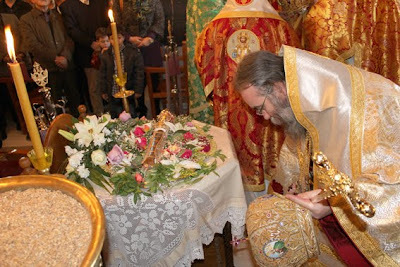 The Holy Metropolis of Kissamos and Selino, following the recent Patriarchal and Synodal Act of Canonization of Monk Nikephoros Tzanakakis, celebrated the first feast of the newly-proclaimed Saint beginning with Great Vespers on Thursday January 3rd 2013 at the Metropolitan Church of the Annunciation to the Theotokos in Kissamos, and ending with the Divine Liturgy the next morning. 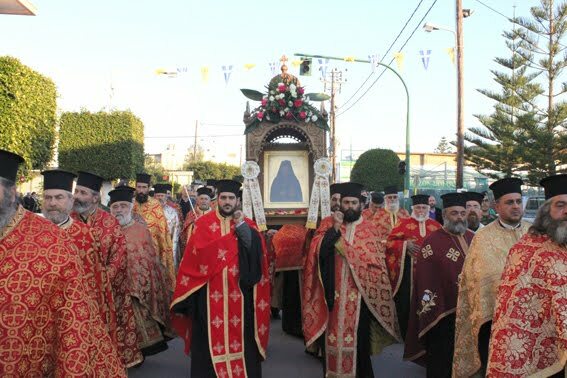 Hundreds of faithful turned out for this historic celebration from all over Crete, and many came from other parts of Greece, to venerate his holy relics which were interred in the church on Wednesday January 2nd and to receive a blessing. 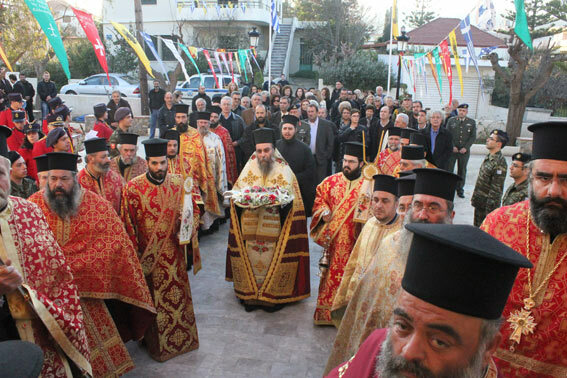 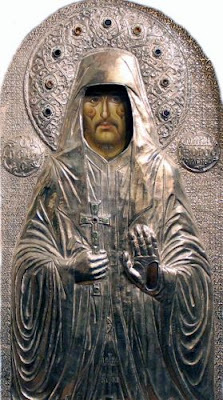 It was also announced that a church will soon be erected in his honor on property donated by the family of St. Nikephoros.